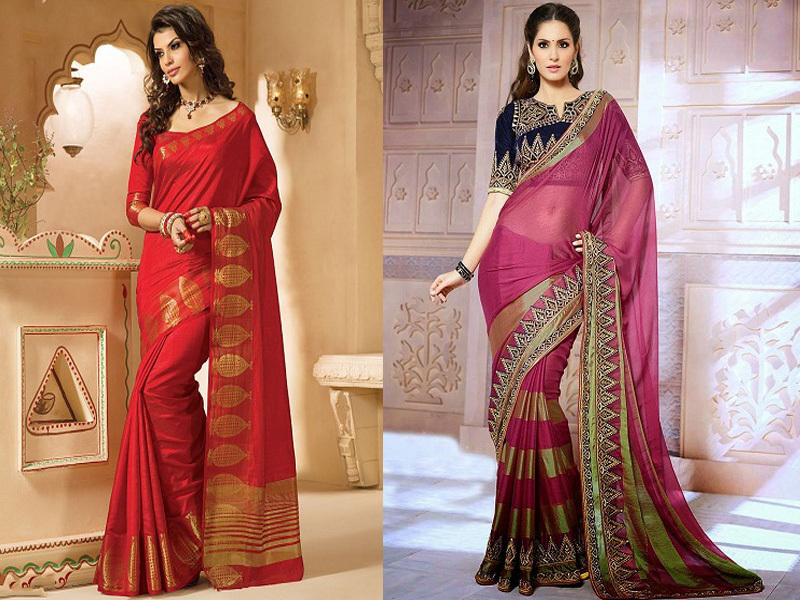 Assam is a North East Indian state and is one of the Seven Sister States of India. It looks like a stretched out bird and comprises of three main geographical areas, i.e. Brahmaputra Valley, Barak Valley and North Cachar Hills. Assam is a natural beauty with a huge number of flora and fauna. 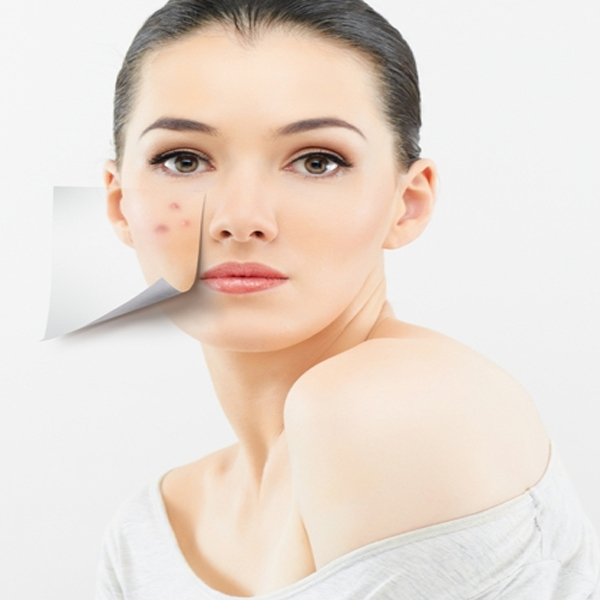 It has a very good location and is easily accessible, which is an advantage for tourists. We have enlisted below 8 Best Assam Tourist Places to Visit with pictures. The capital city of Assam is Guwahati and it also is the most important and busy place in North East. It is one the regions good tourists spot because of its easy accessibility and availability of all needs that tourists need. 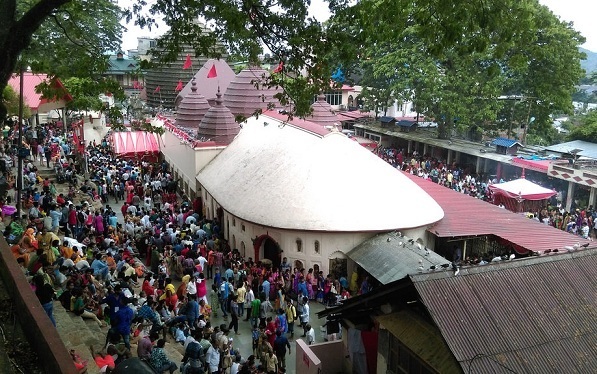 The Kamakhya temple, of which the picture we have below, is one very interesting and sacred tourist sight. Other than that we have Dighali Pukhuri, Shankardev Kala Shetra are many other temples too. Hajo is in a district called Kamrup on the banks of river Brahmaputra. Guhwahati is just 24 km away. This place is a mixture of Islam, Buddhism and Hinduism and has many ancient and medieval temples as well as mosques. This proves the unity diversity we have in our country. The two most famous part of entire Hajo is Hayagrib Madhab which has relics of Lord Buddha and Poa Mecca, a mosque built by Pir Giasuddin. 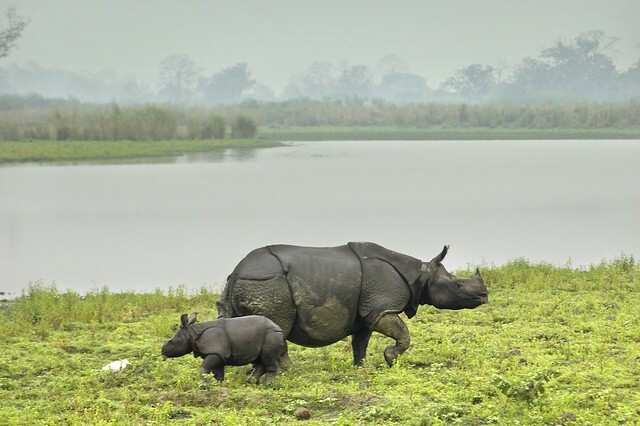 Kaziranga National Park is one the World’s famous heritage site. 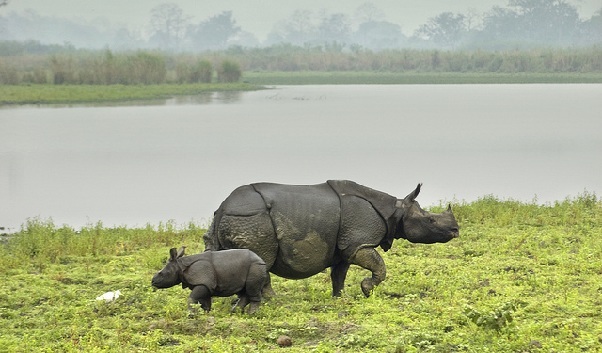 Anyone visiting Assam, must come to the park which is most famous for its one honored rhinos and tigers. It is a well protected and conserved zoo and was declared to be a Tiger Reserve. The park also has an increasing number of elephants, wild buffalos, birds, etc. 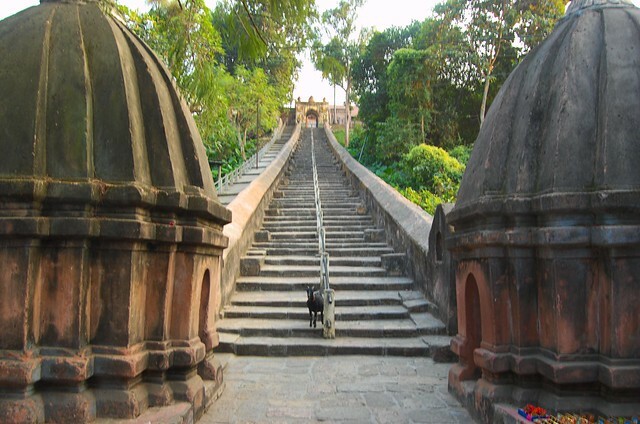 Sibsagar is a place which is popular for Ahom Palaces and Monuments. 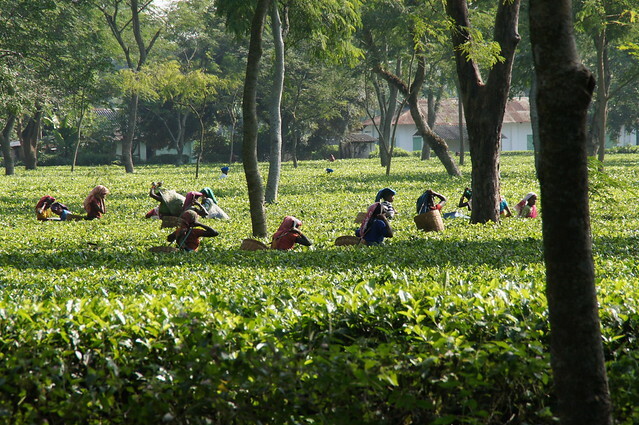 It is a district in Assam which is leading in tea and oil production. 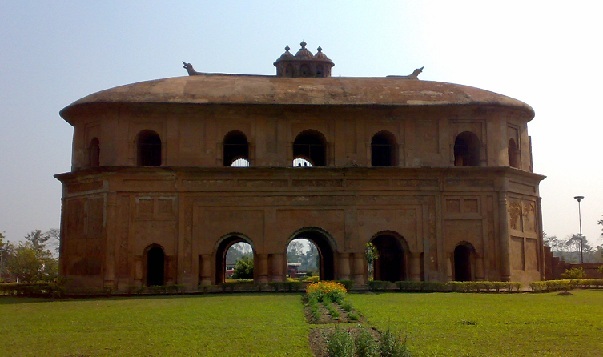 The name Sibsagar is derived from a magnificent tank. 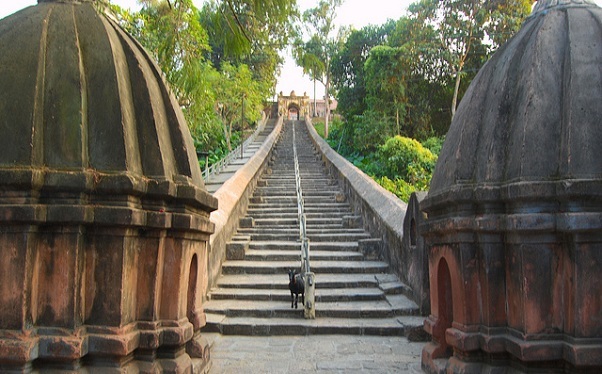 There are many historical sites, Rang Ghar, Kareng Gharm, Shiva Temple, etc. in this place and it is easily accessible by just a bus from Guwahati. Tezpur is an old city located on the northern banks of Brahmaputra. The town is completely a scenic beauty and is pull of gardens, lakes, hills and ancient sites. Mahabhairav Temple and Lord Shiva Temple are two famous temples. There is a place where tourists can see fine arts in sculptures, known as Da Parbatia. 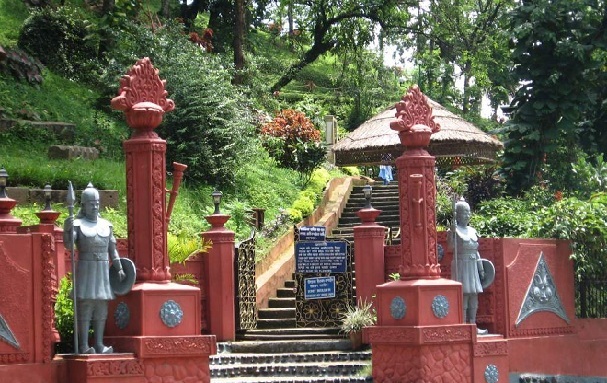 The picture below is stairs which lead to the Angigarh Hills in Tezpur. 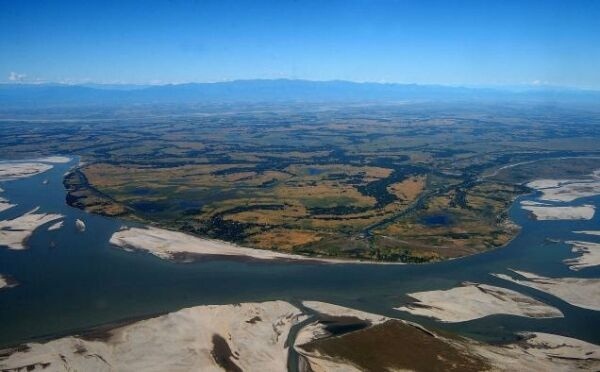 Majuli is the world largest river island, situated in the middle of Brahmaputra River. The people there follow the Vaishnava culture and there are many Satras (monastries) in Majuli. 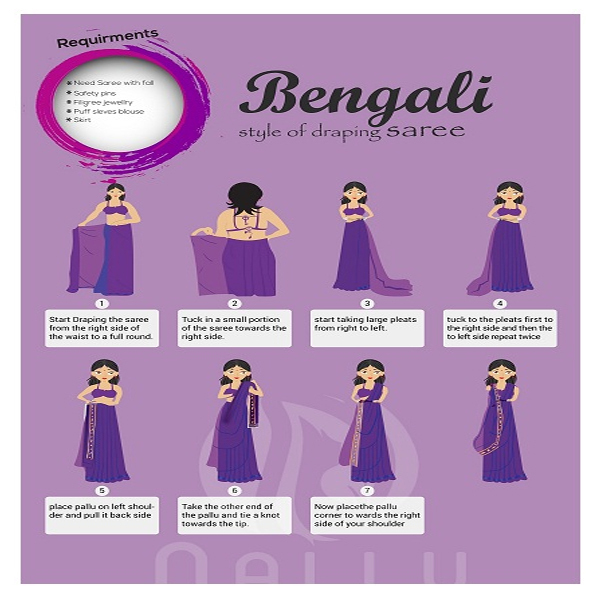 The Satras are the places where people find out the main Assamese culture, their spiritual beliefs and the different forms of arts preserved from the early Satras are found. 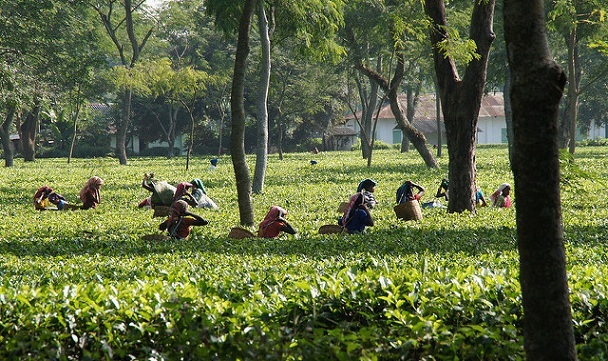 Assam offers to be the largest tea producing region, in India. It is grown mostly in the Brahmaputra Valley. Jorhat is the in the central, thus anybody, staying at Jorhat must go and visit this region of the Valley. It is called the ‘Tea Capital of the World’ because of the vast region it covers of plantation and the high quality of tea produced. 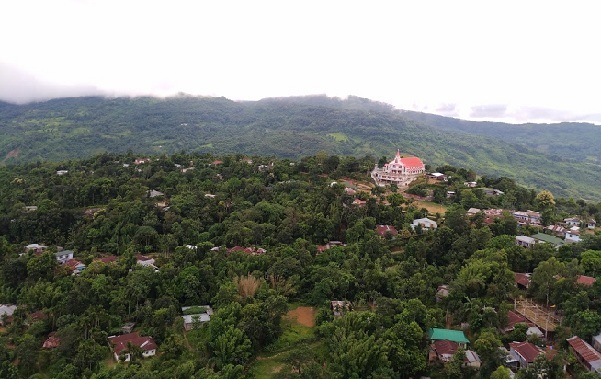 Haflong is in a hill town, with two main tourist attractions, the Haflong Lake and Jatinga. Haflong is the in the center and Jatinga is another place about 9 km away. Jatinga is a mysterious place which has unexplained answers as to why migratory birds commit suicide there. Every year from August to November birds migrate and come here just to commit suicide!